Just a tiny post to share a wonderful article that appeared recently in the New York Times about Chikuhodo and Mr Takemori. This link has been sent to me by Malin, she knows how much I love Chikuhodo and Kumano and since not many of us have access to this newspaper, I thought I will link it here for you. 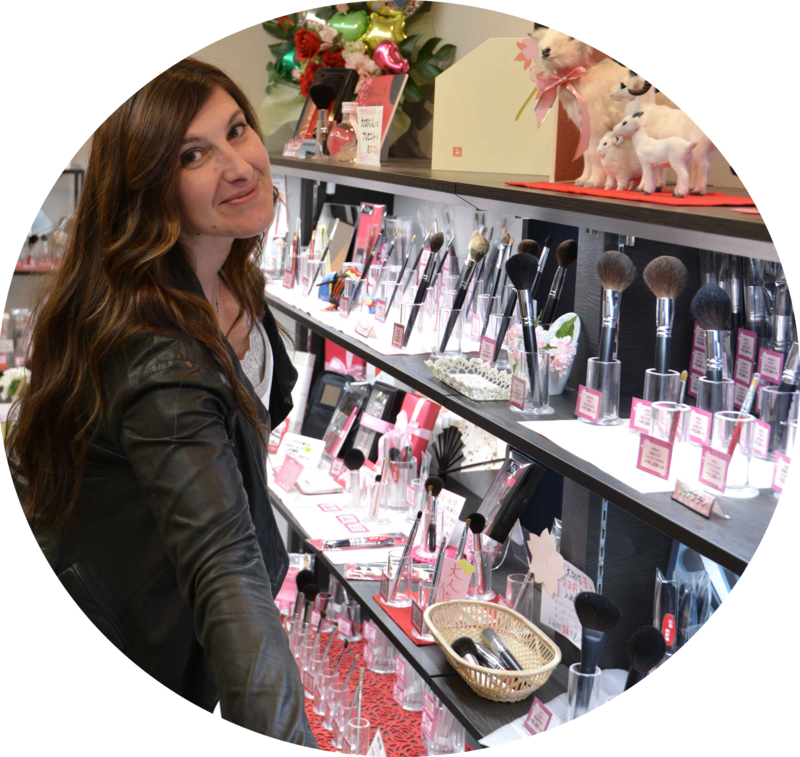 I think many of you are interested to learn a bit more about the origins of the brand that makes so many wonderful brushes. Below is an example of some of the brushes they manufacture but they are also responsible for Kanebo, Etreindre, La Donna and possibly many more. Needless to say that since I will be in Kumano very shortly, I will share many pictures with you during my trip. 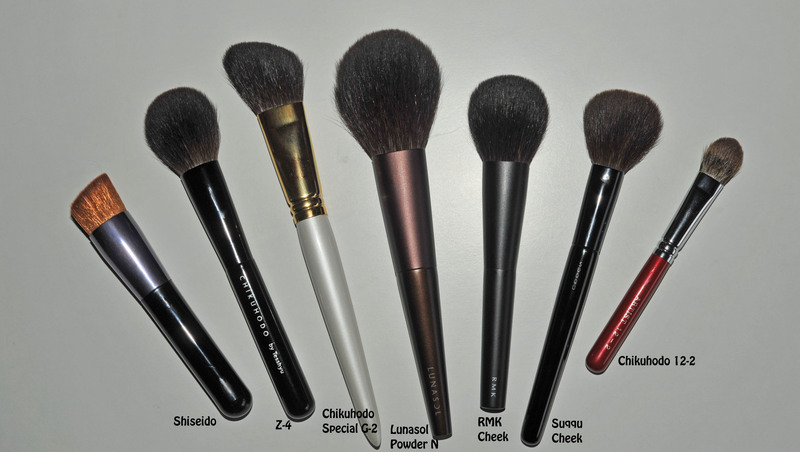 Make up brushes make the news in NYC was last modified: September 24th, 2014 by Sonia G.
Tell us what you have in plan for your shopping in Japan? Hi Laurence 🙂 in terms of brands or places ? I haven’t yet started to prepare my plans, still wondering how long I will stay and where ! but I will work on it this weekend, intensively 😀 I have a few brands in mind, specially cle de peau, koh gen do, tatcha, etc.. but I am still investigating. I love that article I want to go become a brush marker. I really do. Since I’ve started reading your blog I have gone from having 5 brushes that worked for my skin to 24. With all the choices in Japan I would be shopping like crazy. Interesting article! Thank you, Sonia. Gosh, what a nice little artilce. How amazing to think that in less than one month you’ll be in Kumano! What a brush lover you are! Thanks for the interesting read, Sonia & Malin. sorry… couldn’t help it… !!! I don’t if these are good or not but I am curious to try 😀 I really don’t know what I will find in Japan but I will have the best time ever !!! Oh, how splendid! You can always count on the the Koreans to teach the Japanese what craziness REALLY means. Omg what a hilarious brush! I’ve seen this vibrating sponge thing for BB cream application, but never a vibrating brush like that! There are actually a few videos showing some of their brushes. You want all the links? I will go search. The Evgeny is smaller (hair length and width) so I am happy the Chikuhodo is wider, maybe more adapted for me then! Ah, you’re the faithful type, I see! What fun if you and Sonia are able to visit Kumano together! that would be less terrifying 🙂 and much fun for sure ! Well, it’s not an abnormal concept to have vibrating cosmetics. Remember the vibrating mascara or the clarisonic cleaning brush? Sorry to speak of my ugly observation, I had a Korean trip last year so I have some sort of impression developed (I planned to buy some brushes/ cosmetics but I only bring home with skincare). I always have in mind you paying the expensive shipping and insanely high tax for foreign goods. Make up is way more expensive here in Switzerland than in many other countries, prices are really high in Asia but I am not shocked that much knowing that here it’s just heart breaking … at the end it’s about the same price but at least I get really great items when I order from Asian countries. But yes, shame it’s sooo expensive !! Hi Sonia, thank you for sharing such a wonderful article! It’s amazing how this craft is passed along so many generations through the years. fantastic 😉 I hope she will enjoy too ! thank you ! This was such an interesting article to read! I love the fact that so much care and attention go into making these brushes. It really is an art! Hi Sonia! I believe I’ve seen Chikuhodo in our local Isetan( I’m located in Shanghai, China). Interestingly, they’re sold in a sort of souvenir counter, and the price is RIDICULOUS! However, I’m still quite surprised(and excited) to see Chikuhodo sell outside Japan. News again, uninteresting but new moves of Chikuhodo, but maybe I can finally prepare for the price raise (already 1 month past the April mark) now? Well, I understand longer hair or bigger powder brush is super rare, and it is noble for Chikuhodo providing a real premium standard at the price of regular Kashoen (spelling?). But there are way too many face brushes in a set. This must owe to my lack of knowledge in Canadian Squirrel brushes. I am an eye brush lover. Thank you for the news ! Maybe I can have a look at the new brushes if I visit their manufacture 😉 I’ll keep you posted !!! Still, the news is drawn from Manちゃん well, I often talk about her), she finally sells single Takeda brushes in her taobao store. She is certainly a VIP kind of existance for her frequent chance to handle the Kiwami series. p.s. please don’t feel obliged to do things for me, an easy “um” is fine. I don’t think portable brushes are that attractive to your other fans. Your planning of trip is very difficult and means so much more for you and other readers here. Wish you all the best and happiness in the trip. yes of course I remember you telling about the new Z series, I would love to be able to spot prototypes during my trip !! 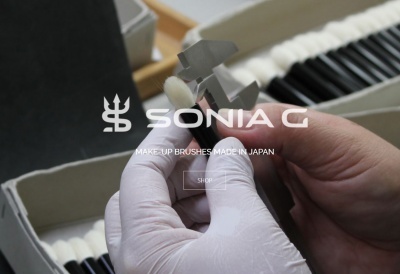 Yes please, agent Sonia, new Z eye brushes, or a release date~~~~ plx (haha). For an overall-face powder brush, after reading your HG list, I don’t know if I should own Z1,MK1/2, or the Tanseido EQ 28, which is better? I use both loose powder or powder from MAC compact. I don’t pay attention to MK’s painting on handle that much. These 3 brushes are totally different brushes, the Z-1 is round and dense, the Tanseido is flat and you will specially use the sides of it -or the top for more precision-, the MK2 is something in between the two, both in terms of shape and density. For the Mac pressed I prefer the Z-1, it will pick up more product and deliver some more coverage which is what I will be looking for to do with this Mac product. For any other loose powder in order to deliver a sheer application all over the face I’ll prefer the Mk2, for more highly pigmented powders, like more stronger highlighter powders, I’ll use the Tanseido, it will deliver more precision and is more forgiving since less dense, it also buffs better the product into the skin since it’s goat. i’m very happy to read this article .. THANK YOU SO MUCH for sharing it!